The adaption uses a 22-pin Samtec connector. Recommendation is to place the even numbered pins at the PCB border side so the flex cable won't be twisted. The pinout of the 22-pin Samtec connector optionally includes the debug signals. 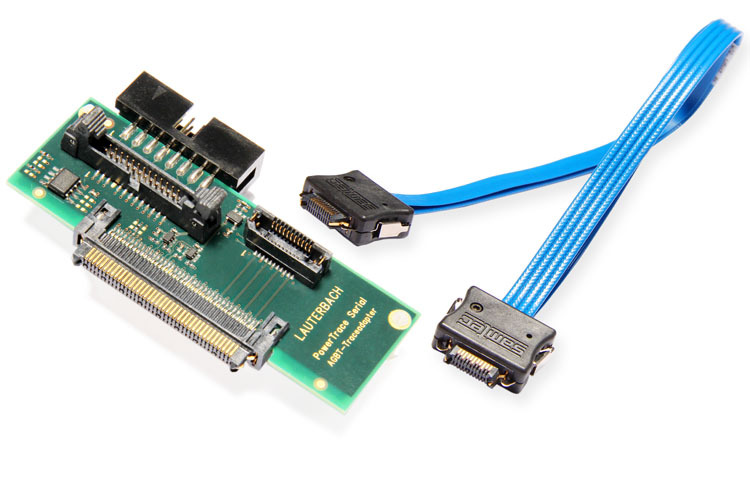 The target adapters have a 16-pin JTAG connector and a AUTO26 connector where the user can plug the Debug Cable. Alternatively the Debug Cable can be plugged on a separate debug connector (JTAG, DAP or AUTO) on the target. In this case there is no need to connect the debug signals to the 22-pin Samtec connector. Omitting the debug signals on the trace connector may improve signal quality. The debug signals are TCK, TMS, TRST-, TDI, TDO, RESET- and TRIG (user defined). Please note that VREF is mandatory for a correct operation of the preprocessor.